Michael Brumm’s practice is concentrated in mergers and acquisitions, business formation, private equity and commercial finance. He represents businesses ranging in size from small start-ups to publicly traded corporations in a variety of transactional and related corporate matters. 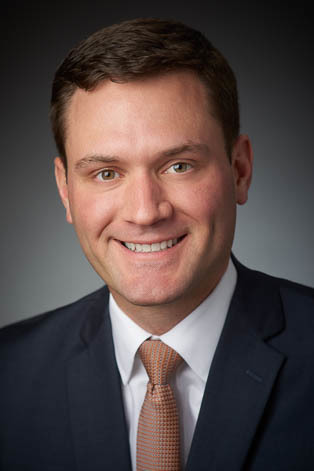 Prior to joining KMK, Michael gained valuable experience as an associate for a mid-sized law firm in Cincinnati, OH, representing businesses in a variety of matters including corporate governance, real estate, financing, commercial transactions, acquisitions, intellectual property, succession planning and regulatory matters. Michael earned his J.D. from the University of Cincinnati College of Law in 2015 where he was a member of Law Review, serving as both an Associate Member and Outreach Director. While in law school, Michael also spent a year as a law clerk with GE Aviation on the Commercial Engines, Services & Global Sales team. He earned his B.A. from The Ohio State University in 2012. Represented Infinity Property and Casualty Corporation’s merger with Kemper Corporation, in a transaction valued at $1.6 billion. Representation of dermatology practice in sale to private equity firm. Representation of Fortune 500 client in over a dozen acquisitions in the industrial uniform rental, first aid and safety, restroom supply, facilities services, document management and fire protection service industries. Representation of investment firm in several acquisitions and divestitures in the trucking, brokerage and trailer rental industry. Represented investment firm in the acquisition of a plastic injection molding business.